Saskatchewan Wheat Pool grain elevator in Conquest, SK, Jan 2007. Copyright by Gary Rich. 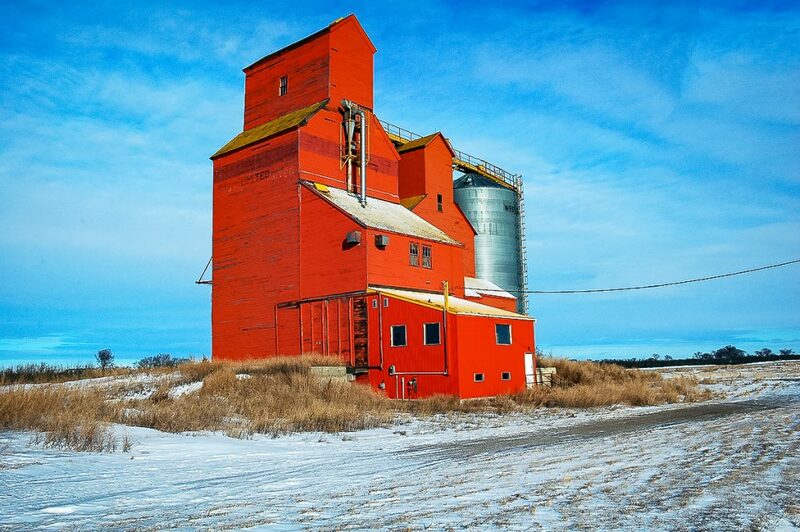 There are two grain elevators in the town of Conquest, Saskatchewan. One is an ex Pioneer grain elevator and the other is an ex Saskatchewan Wheat Pool elevator, still bearing a variation of the Pool logo. 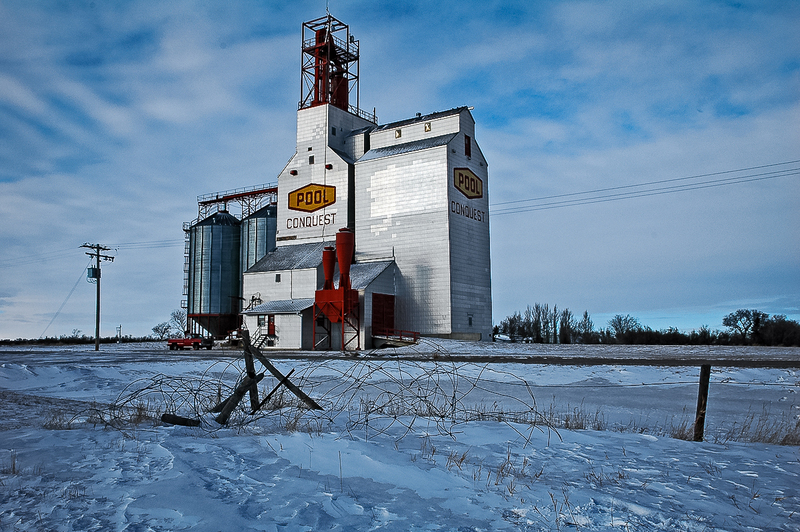 Ex Pioneer grain elevator in Conquest, SK, Jan 2007. Copyright by Gary Rich. 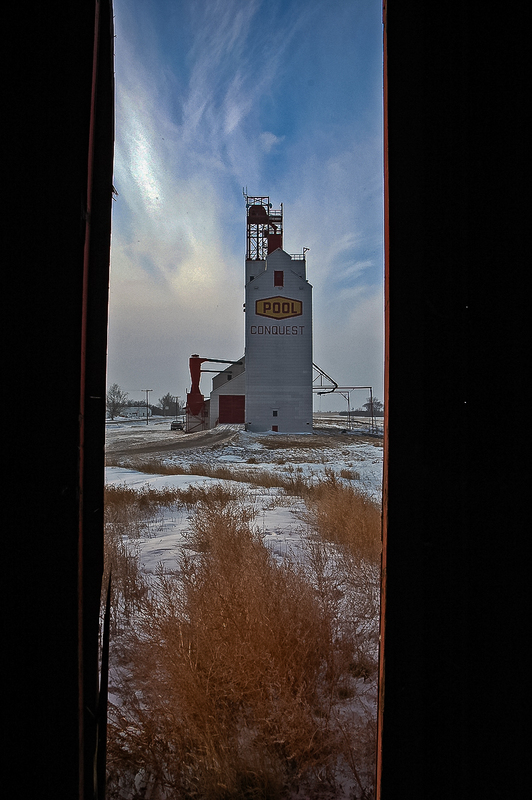 The smaller elevator at the ex Pioneer grain elevator is an old elevator, built in 1911 by the Saskatchewan Co-Operative Elevator Company. The Co-Op was acquired by the Saskatchewan Wheat Pool in 1926. 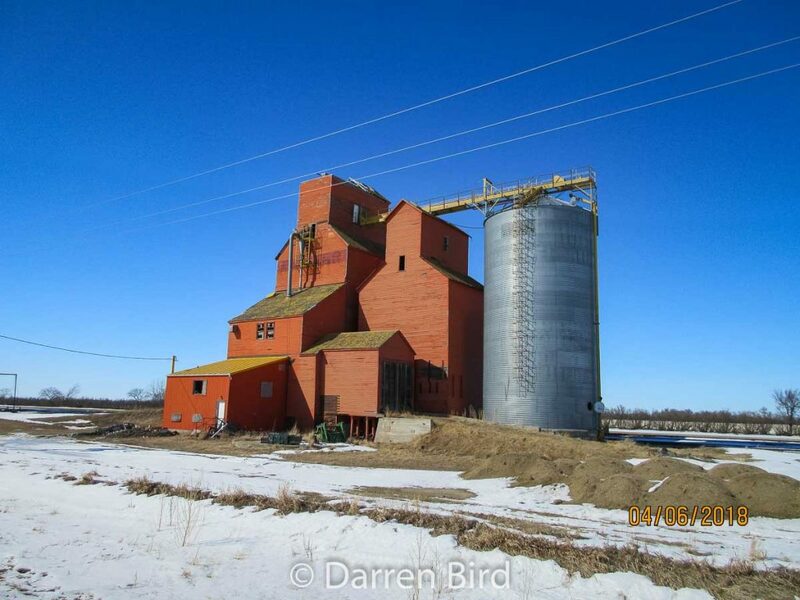 The former Pioneer grain elevator in Conquest, Apr 2018. Contributed by Darren Bird. The ex Pool elevator has its logo altered to CSI:Conquest. CSI:Conquest grain elevator in Conquest, Apr 2018. Contributed by Darren Bird. 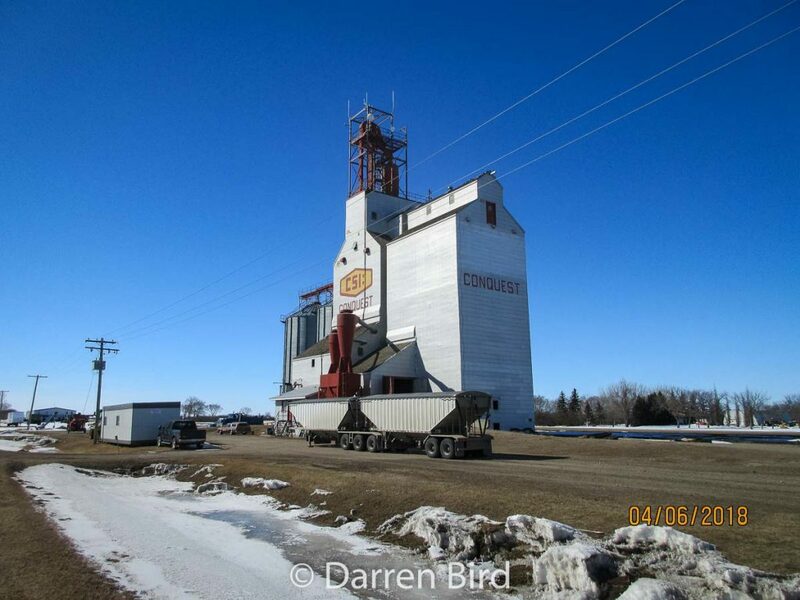 The larger ex Pioneer elevator was built in 1957. Its cupola was damaged before 2012.